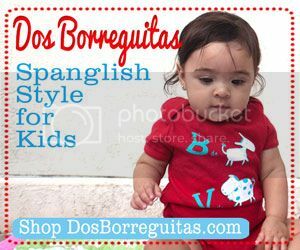 One of the biggest investments I will make in my journey to make sure my daughter grows up completely bilingual and bicultural is to make sure we visit family in El Salvador and/or Mexico every single year. There’s nothing that gives me more joy than to see her play con sus primos or lay next to abuelita as she gives her nieta another masajito upon request. So last week during my girl’s spring break, her and I headed down to El Salvador for a week of familia, playita, buena comida and a meeting with Brenda, the girl we sponsor through Save the Children. In the interest of full disclosure and clarity, let me tell you that Save the Children had nothing to do with my trip to El Salvador. I was actually the one that brought the opportunity to them after I had already planned and purchased our trip. You see, three months ago, during the Christmas break, I finally decided it was time we sponsored a girl. Out of all the options, I chose Save the Children partly because I had already met some of the people within the organization and partly because I like that they have no religious or political affiliations. 2. I wanted her to be from El Salvador in case one day we had the chance to meet her (I had no idea it would come so soon!) and so Camila could have one more connection to the country her mom’s heritage is from. 4. A picture can really speak a thousand words. We wanted to have that immediate connection to her through her picture. And that’s how we chose 5 year-old Brenda from Ahuachapán in El Salvador. Something about the look in her eyes and the smile that she hides behind her pursed lips just called out to both of us. The process of selecting a child to sponsor and initiating the actual sponsorship through Save the Children was actually very easy to do. In no time, we were writing an email en español to our new friend Brenda. We really had no idea what to expect next, other than knowing that a set dollar amount would be withdrawn from my account every month. A few weeks later we received our sponsorship package with a whole more information on Brenda, a picture and a postcard to start real correspondence with her. We do always have the email option, but real pen and paper is more personal and direct. Of course, we procrastinated and never got around to sending more letters. 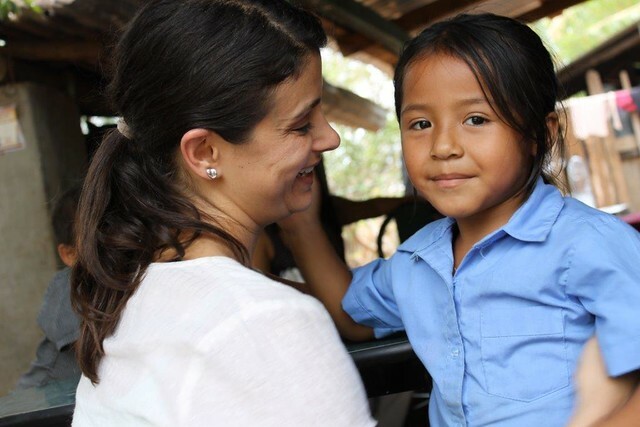 What I did instead, was reach out to my contact at Save the Children and let her know I had started sponsoring a child and that we would love to meet her during our weeklong trip to El Salvador. I never imagined they would get as excited as they did and fully come onboard to coordinate our meeting with Brenda. Turns out that any sponsor can request a visit to meet their sponsored child and Save the Children will coordinate everything through their local office. They love sponsor visits! My mom, niece, my daughter and I were picked up last Thursday morning in an official Save the Children pick up truck that took us to a small town in the department of Ahuachapan called San Antonio Arriba. The 2.5 hourlong bumpy journey ended in front of Brenda’s school. There’s so much I want to share with all of you regarding everything I learned about Save the Children, the local volunteers we met and their amazing work in local communities like Brenda’s and how they are empowering them to be self-sustainable. This week I will put together a follow-up post just detailing that, as well as the truths I learned about where your sponsorship money goes and how it’s used. But for now I just want to tell you more about Camila and Brenda’s meeting through these pictures that tell much of the story. Camila and I getting briefed before we met Brenda. 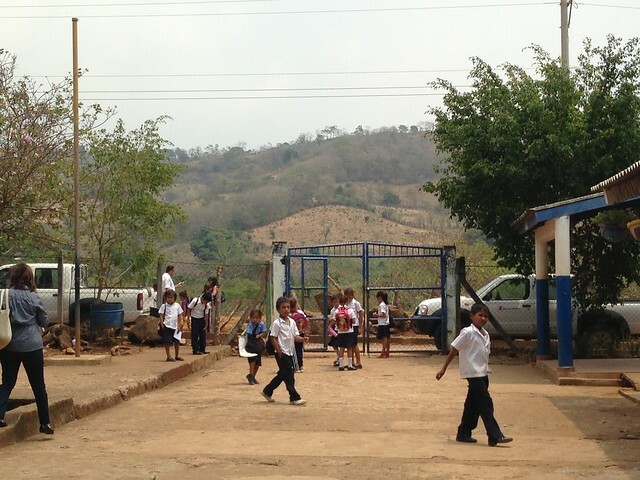 We had just arrived to the school and were waiting for Brenda’s mixed kinder class to be done for the day. A view of Brenda’s school from the inside. We snuck into Brenda’s classroom as we anxiously waited for her to come out. Brenda and Camila finally meet! Camila had been telling everyone about Brenda and that she was so excited to meet her. It finally happened and both girls were visibly happy. I stole a hug and a smile from her! Brenda’s mom came to meet us too. This is a group hug with Brenda’s mom, her cousin and Camila’s cousin. Camila giving Brenda the gifts we brought her. We were asked to keep them simple and give her things she could share with her friends and wouldn’t make her a target of envy. We chose coloring books, crayons, fairy bandaids, stickers, hair barrettes, and a cute summer outfit. While the girls went through the goodies, we learned they have more in common than just their age: they both love pink, princesses and to make art! Brenda’s teacher leading the girls into a song and dance to break the ice. She told us Brenda is an excellent student that loves to learn and is doing so well. The girls checking out the video I took of them singing and dancing! The girls talking kindergarten stuff…comparing notes and all! 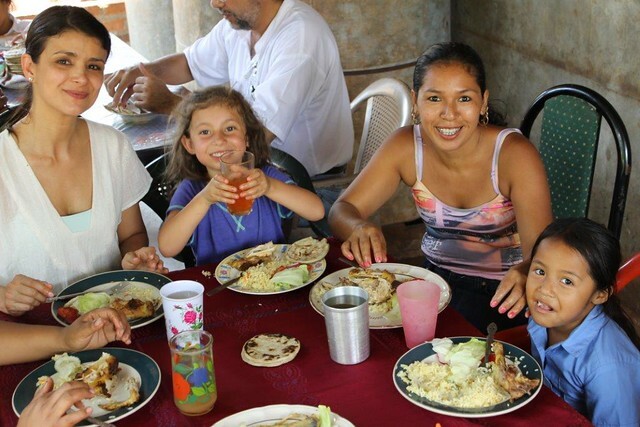 We were treated to a tasty lunch of gallina rostizada and rice at the house of one of the Save the Children local community volunteers. And Camila got to run around and catch her first pollito! Ah … she was so happy. Stay tuned because I have a lot more to share about this experience! Are you sponsoring a child? Please let me know in the comments below how the experience has been for you and your family and if you’ve ever considered visiting him/her. I haven’t sponsored a child but this article makes me want to sign up. I would love for my daughter to have a pen pal and the possibility of meeting one day sounds wonderful. 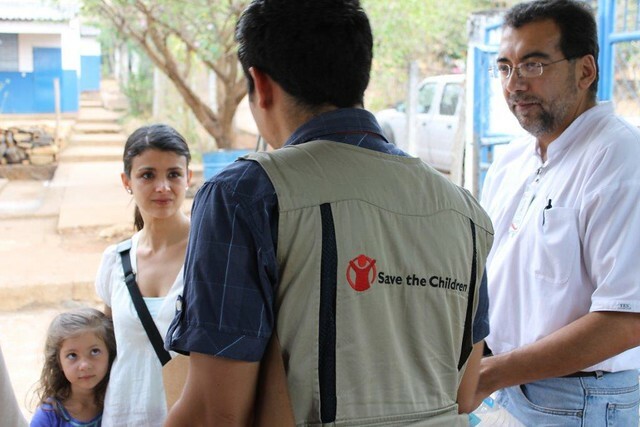 I look forward to hearing more about your experience with Save the Children and any recommendations. I thought about sponsoring a child for years and I finally got around to doing it because I felt my daughter was old enough to be part of the process and understand it. 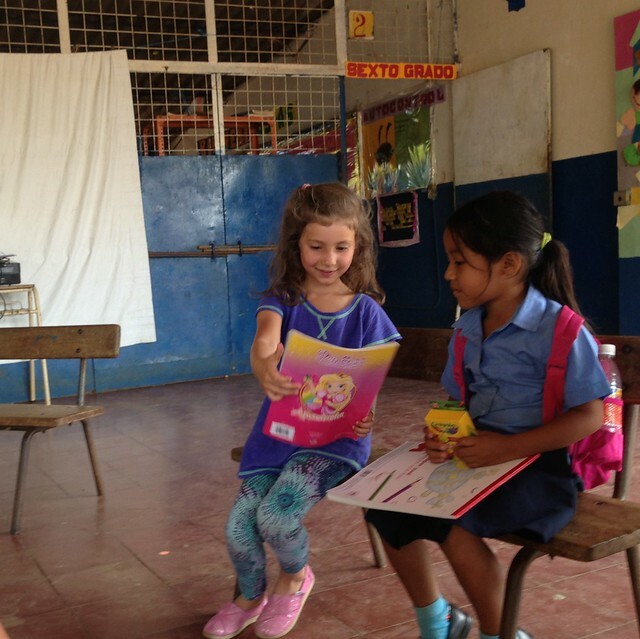 Aside from wanting to help, I also had the “selfish” motivation of finding a pen pal in Spanish for Camila and one that could bring to her another aspect of life in Latin America. It’s turned out to be so much more! Stay tuned because I plan to explain much, much more about the process and some myths about child sponsorship. Wow thats truly amazing and what a beautiful thing to do. I came across your blog looking for more information about sponsering a child with my daughter too. I have always thought about sponsering a child for very similar reasons to you. Thank you so much for sharing this, its definitely something we are going to do. hi! I LOVE this post! 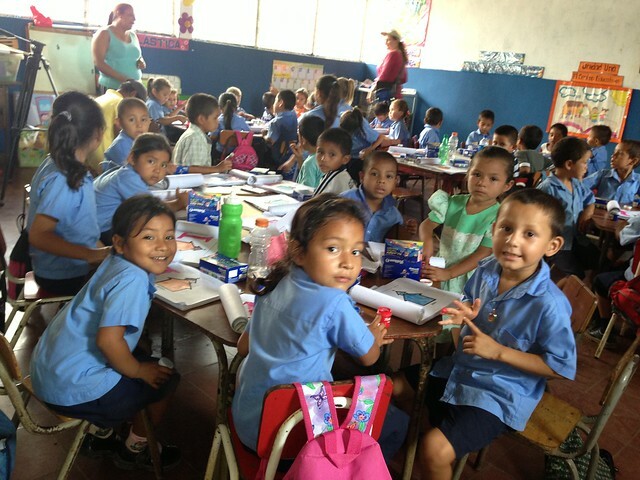 I do not sponsor ONE child in particular but I do donate each month to a group of Children’s Homes in Bolivia where I volunteered two summers in a row. The only reason why I don’t officially sponsor one of our kids is because there is no way I could pick ONE! But I actually coordinate our Child Sponsorship Program and I LOVE that you are sponsoring a child through an organization that falls in line with what you believe (the one I’m involved with is Christian). Thanks for this comment, Denise! The thing about sponsorship is that you’re not really sponsoring the child directly. I learned this during the trip and it’s what I want to share on my next post. Save the Children doesn’t believe in charity in the form of handing money out directly, but in supporting the community and teaching them to be self-sustainable. The child really becomes an ambassador for their community. They DO receive all the letters and gifts we send directly and they do respond. But they don’t get a monthly check sent to them. The benefits are real and palpable to them and their whole community. It’s quite beautiful. Thanks for sharing my article with your friend! Would love to hear more about what they do in Bolivia. I understand completely what you mean. We have 4 homes for orphaned/abandoned children. One for babies, one for school aged boys, one for school aged girls, and one is more like a foster home. The money our sponsors send goes collectively for food, shelter, clothing, school, doctor appointments, medicine, and of course to pay the staff that cares for the kids. So the child of course doesn’t get handed the $25/month but obviously even $25 isn’t enough to pay for all the aforementioned expenses. But it does help and in turn really blesses the kids and the women who care for them! I can’t wait to read more about your sponsorship experiences! It is really great you are spreading news about this type of program! Thanks for sharing these links. Will check them out! Xenia, please do let me know if you do. Feel free to reach out to me anytime with any questions. Being able to actually visit our sponsored child and hear from the community that’s directly impacted really converted me and I’m now a believer and a supporter. What a wonderful experience. I love the photo of the group hug and Camilla meeting Brenda. Meeting the child you sponsored must have been a priceless moment. We have considered sponsoring a child and thank you so much for this timely message. Eva, I can’t begin to explain how excited my daughter was throughout this whole process. It all started with one picture that brought Brenda into our lives and now that we’ve hugged her and gotten to see her smile she’s become part of it. Let me know if you do decide to sponsor a child and tell me all about it! This post completely touched my heart. What an amazing experience for you and your daughter! Thank you, Michelle. We’ve been really touched by this and I’ll be sharing more about the whole experience soon. This is beautiful, Ana! I love this! I used to sponsor a child in my college years and reading this post make sme want to do it again. Very inspirational. Thank you!! Oh, Ericka!! I would be the happiest person if this has inspired you to sponsor another child. so beautiful that you already did once. Now it would be great for you to share it with your son. I would love to learn more about this. 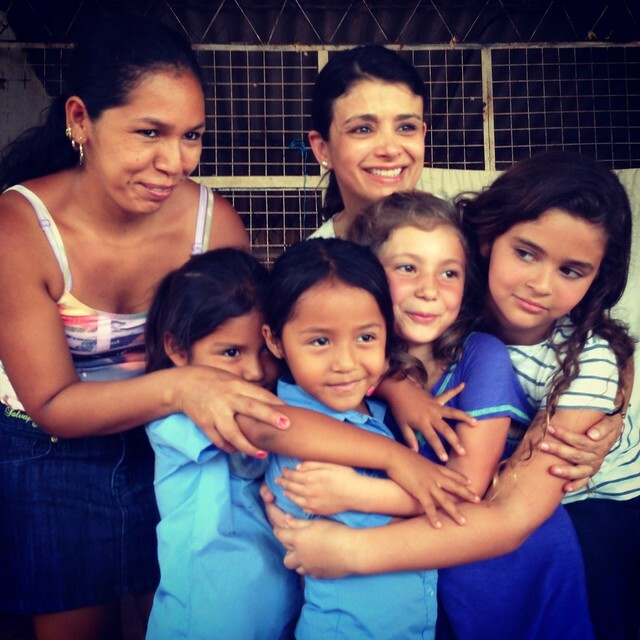 I like to contribute to help others via Kiva.org, and I always choose mothers in Spanish speaking countries to support. I was always interested in visiting to see the success of the projects, but thought that organizations did not do that kind of thing. I look forward to your other posts to learn more. I’ve also supported Kiva for a few years now and chose them because I liked that I could select the person to loan to and could in a few months see that the money had been put to use. I really like knowing the impact our support makes, that’s why I was so excited to be able to see this for myself and hear directly from the community. While I was in El Salvador, Tom’s shoes were there too with Save the Children. They work together to distribute shoes to the kids in the communities where SC is working. It was so cute to see so many of the school kids wearing Tom’s — the same brand of shoes my girl and I were wearing that day! So, by us buying those shoes we, in essence, helped get two pairs of shoes to kids like the ones we were meeting. I learned that they were in town as part of one of their “Giving Trips” where staff and contest winners go with them to distribute the shoes to children in need. How cool is that? So, yes, many organizations offer the possibility to visit the communities they impact. I will sure post more details very soon!! Ana, thank you for sharing this post. I have been meaning to do a similar post on my own blog. 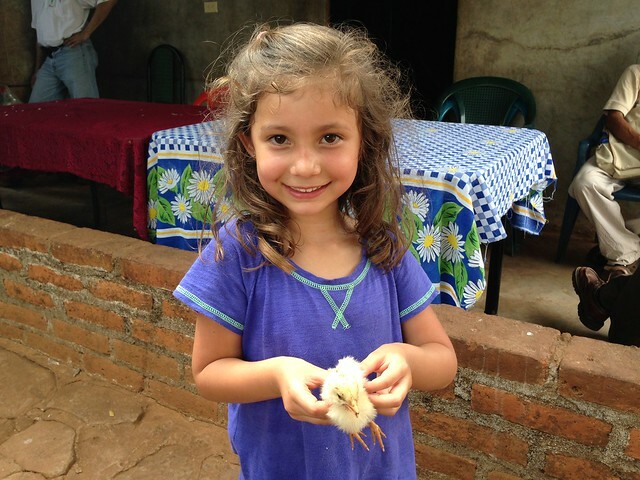 While I haven’t made the trip to meet my sponsored girl in Ecuador, it is on my list for late 2013. My monthly sponsorship is about $35 per month. I made a effort to find money in my budget to make this possible, so I gave up spending this much money on myself (mostly on art and craft supplies!) and funneled that money to sponsoring my child. I’ve had no regrets. My girls is amazing. I love her drawings, stories, and letters in spanish. 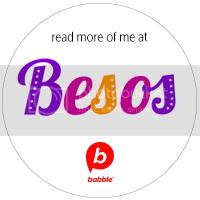 I am learning spanish, so it’s a way for me to practice, too. Sometimes I catch myself reading her letters and don’t even realize that I was reading spanish because I understood it just as easily as if were english! This is definitely one of the best things I’ve done for myself or anyone else in the last year. I look forward to your future posts! Thanks so much for sharing that, Natalie. I would love to read your post about it when you get a chance to publish it. The more we share about the beauty of child sponsorship for the child, their community and ourselves, the more people will understand its virtue. So cool you’ve already decided to visit your child! Really do hope it happens for you both!! As always, you are such an inspiration. My husband and I have been sponsoring a girl in the Dominican for years; even before Alina was born, my heart was attached to our sponsored child because I thought she may look like the child we would one day have. When we first started sponsoring, I dreamed of visiting her. Thank you for being you and continuing to prove to me how dreams really can be reality. You have no idea how much that means to me. Besos, amiga. 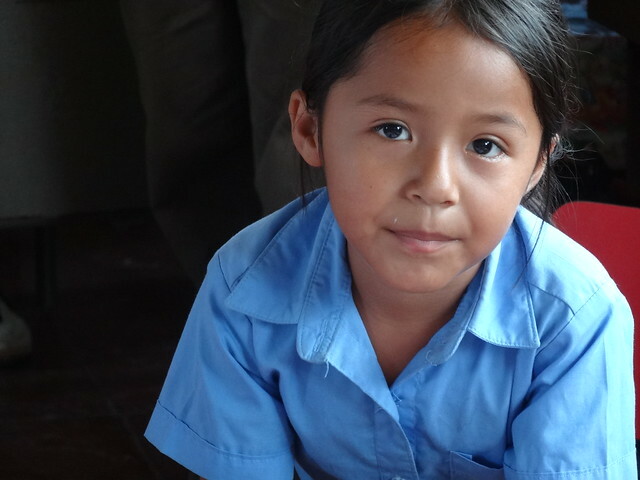 Oh, these pictures look like so many of the kids I work with in Guatemala- let me just say sponsorship does make a difference. It’s not a quick fix, but over the long term when an adult or family is committed to be a part of a student’s life, change does happen. Often people don’t realize that when you sponsor a child you’re helping to support his/her education, supplementing a salary for a teacher and often supporting their family! I would love in 10 years to see a follow up on Brenda’s life. Bien hecho! Those are exactly all the things I learned, Michelle! I’m so happy that for so *little* effort we’re able to do so much. I love that my girl and Brenda will grow up *together* and can share stories of girls being girls in two different countries in completely different life scenarios. Really looking forward to that and to visiting her every time we go to El Salvador! Ana! What an amazing experience! I had a knot in my throat while reading and viewing the pictures. My husband was approached on the streets of Manhattan by another similar organization and on his own he began sponsoring a boy in Mexico. I have to say that I have been doubtful when the letters arrive. After reading this post (and I can’t wait to hear more) I will take initiative to find out more and see if my sons can write to him too! Betty, I totally get your being doubtful! I had seriously been contemplating for years and I was always doubtful if the money did really help the children or their communities. Now I truly know it does! I highly recommend you try to get your sons involved with your sponsored child in Mexico as much as possible. The correspondence alone and the conversations it sparks are truly invaluable. Plus, such a beautiful way to teach them about giving and the lives other children around the world lead. Let us know how it goes!!! Muchas gracias Ana por esta historia fundamentada en la experiencia de compartir. Yo no tengo la posibilidad de apadrinar un niño o niña, pero cuando puedo aparto ropa y regalitos para un par de gemelas que viven en San Miguel Tepezontes y así explico a mi hija la importancia de compartir. Saludos!! Carmen, una hace lo que puede y eso lo es todo! lo bello es que estás ayudando a otras niñas directamente y tú hija aprende lecciones muy valiosas. Thank you for sharing your sponsorship story! I’m from El Salvador as well trying to raise two bilingual kids ( soy de Santa Ana y mi mama todavia vive alla). My husband is Dutch and we live in the US so it’s a challenge. 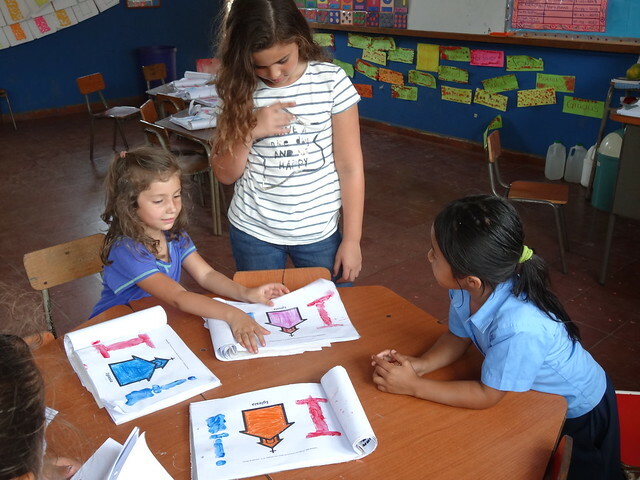 I try to take my kids to El Salvador every year so they are immersed in the culture/language. both my kids still answer me in english but I’m not giving up : ) I’m so interested in sponsoring a child but never knew which organization to choose. Your post makes it so real and doable. What a great way to give back and have the kids involved in the process. I look forward to your future posts!! We sponsor two beautiful little girls – one through Compassion and one through World Vision. We have sponsored Gelaye, from Ethiopia, for four years now – she will be 12 this year. 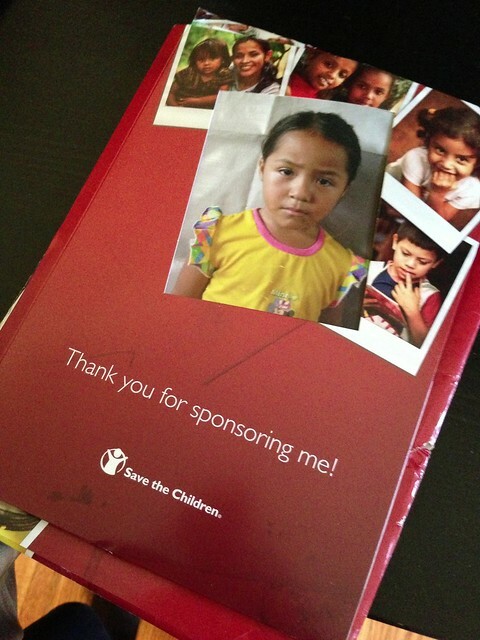 We have sponsored Sreynich, from Cambodia, for two years. She will be 8 this year. 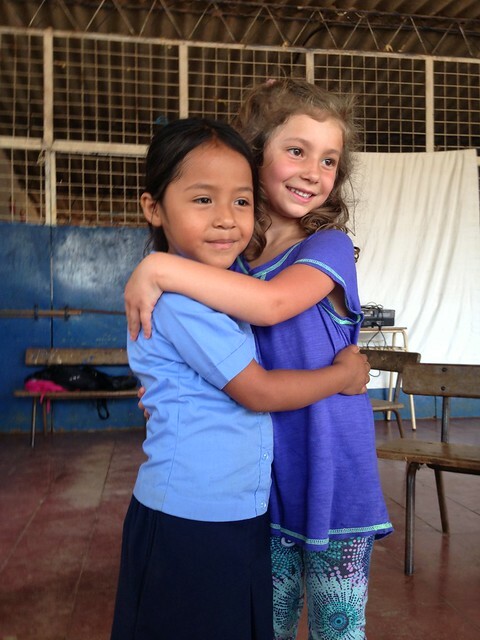 I love sponsorship as it allows me to connect with a child in a different country and make a difference in their life. We are not wealthy people, but we still have so much we can give to a child who has so much less. Hi. I just started sponsoring a child in Ethiopia. Instead of feeling joyful, I have begun to have doubts about the sponsorship. 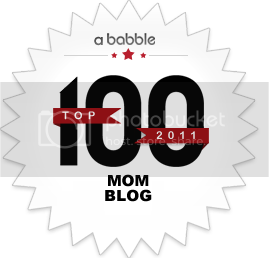 I selected Save The Children as it was highly rated on web sites like CharityWatch.com. But later I read that my monthly donations probably pay for administrative expenses because their grant money is restricted on how it may be spent. I also read that they characterize some program expenses so they appear to be items directly benefiting children when they do not (i.e. a program expense can be camera film used to market sponsorships). I would not be happy knowing that little Merge, who is 4 years old, and her family and community are not getting a penny of it. I was informed that Merge lives in poverty in a village that moves around due to weather, and most likely receives NONE of the benefits others do. She is too far away to access clean water, simple education or services. Why then was she a candidate for sponsorship? Meanwhile, I am getting lots of mail from Save The Children encouraging me to write to Merge. I am feeling manipulated, like they want me to form a bond quickly, by writing, so my donations will keep coming. I have read that case workers sometimes write letter responses, pretending to be the child. I also see that my web account on STC cannot be cancelled by me. My only option is to increase my donations. Comments please. I need the inside scoop.